Got an important client dinner tonight? No time to head home and spend hours getting ready? No problem, we’ve got a stylish and sophisticated look to take you from day to evening. Team this navy satin top from Next with these Zara floral print trousers (botanic prints on a dark background are set to be a key trend this A/W) and add a metallic flat – a great option when you don’t want to wear heels but need to look dressy. They’re also comfy enough to wear all day. 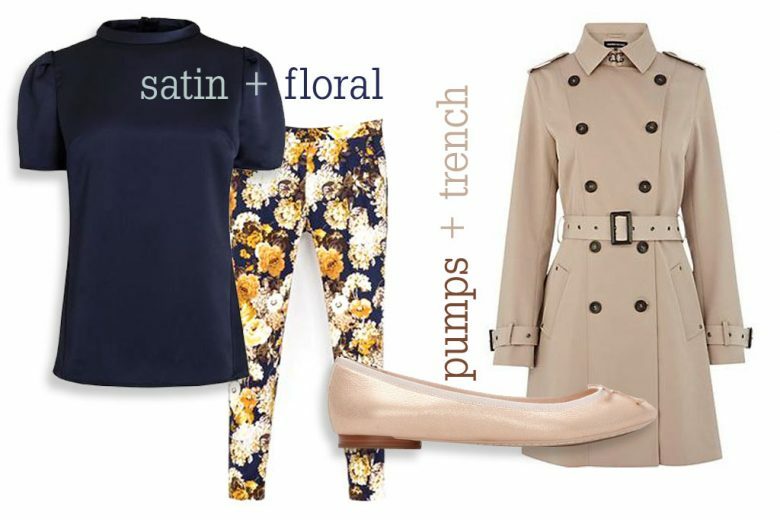 Finish with a wardrobe staple mac and you’re good to go!